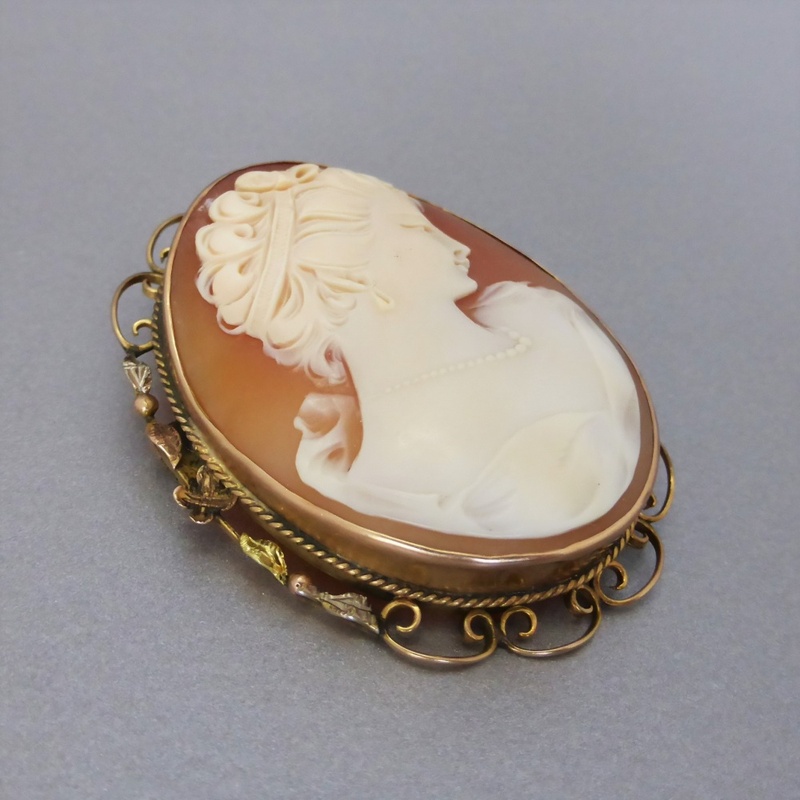 A lovely cameo brooch from the late Edwardian to early Art Deco era, c1910's- 20's! 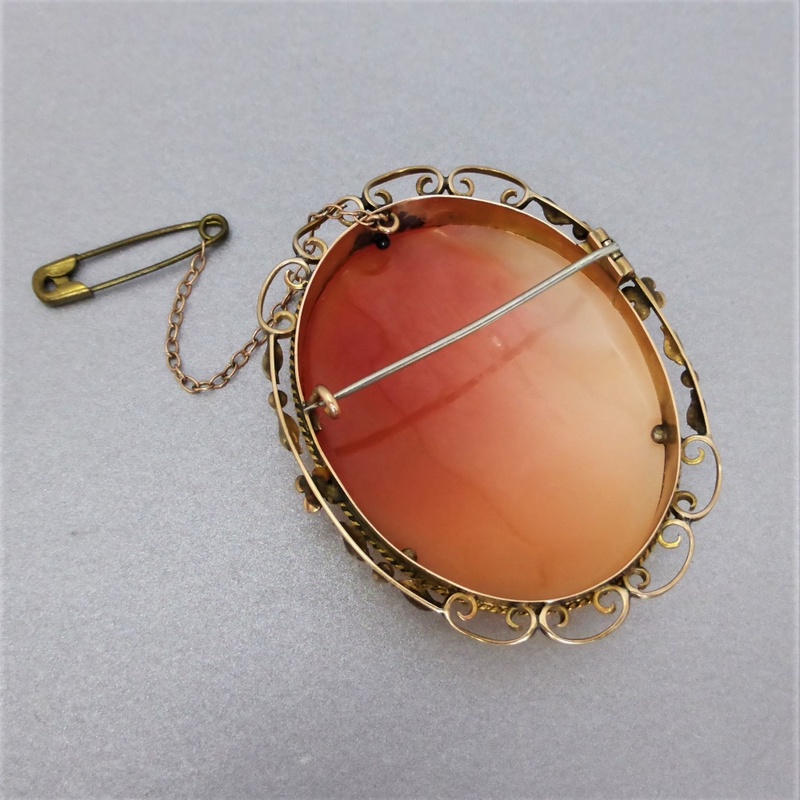 The brooch is made of 9ct gold and the colour is a warm rose hue with applied rose, yellow and white gold motifs. 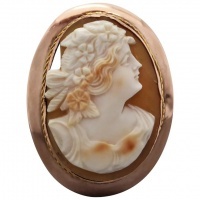 The cameo is set in a gold bezel frame and decorated with a rope trim. A further border of gold scrolls are applied at the top and bottom of the brooch. Adding further flair and uniqueness to the brooch is a single row of three-tone gold leaf, flower and berry like motifs which are applied onto a wire rail and placed along each side. 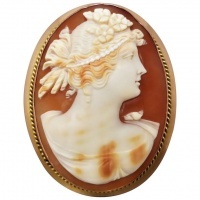 The hand carved cameo shell depicts an elegant and very beautiful woman's head and shoulders. 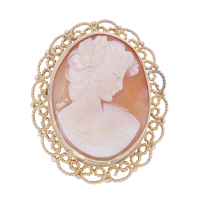 It is detailed with curled and upswept hair accented with a hair band tied in a ribbon at the top of the hair. 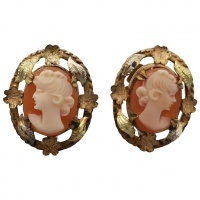 A dangle earring suspends from the lobe and a pearl necklace adorns the neckline. A drape flows over the shoulders and rests on her lower neckline. 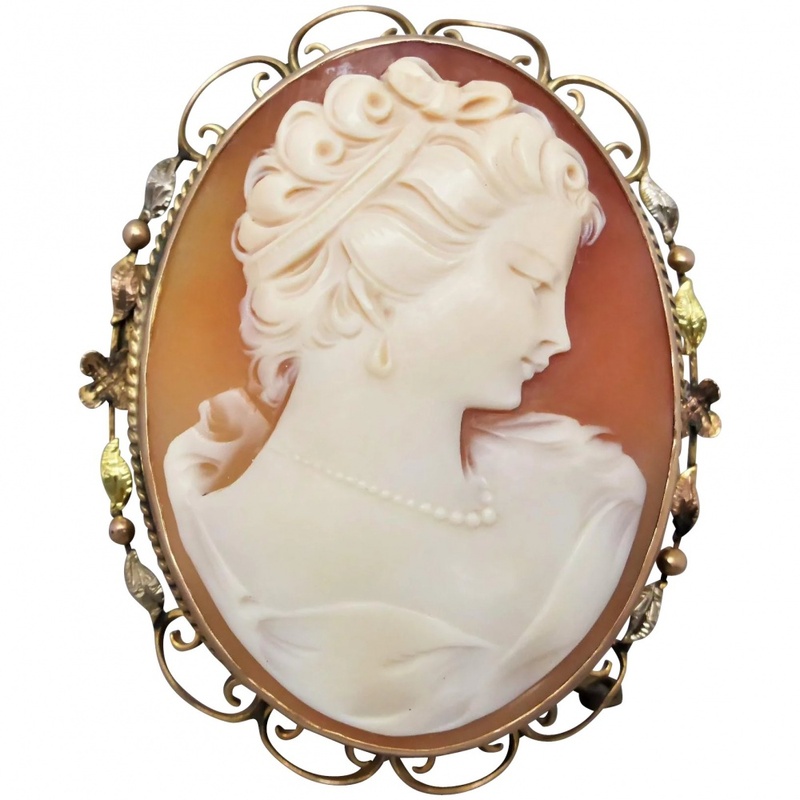 The overall appearance of the brooch oozes elegance and grace! On the back is a silver-tone pin and a c-clasp connection. There is a ring at the top which the safety chain/pin connects to. 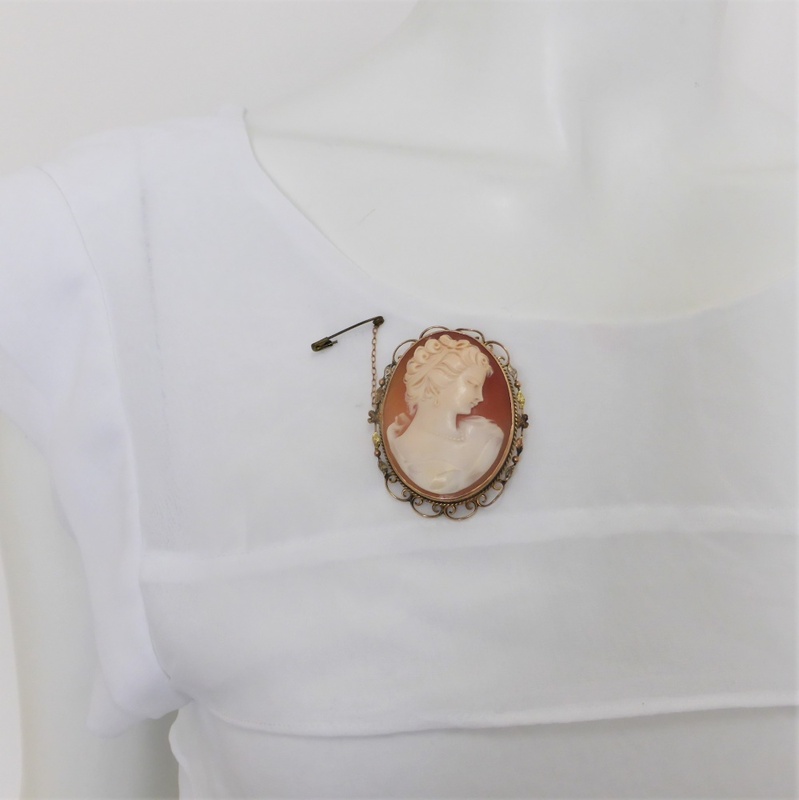 No stamps are evident to the brooch however a test indicates 9ct gold. 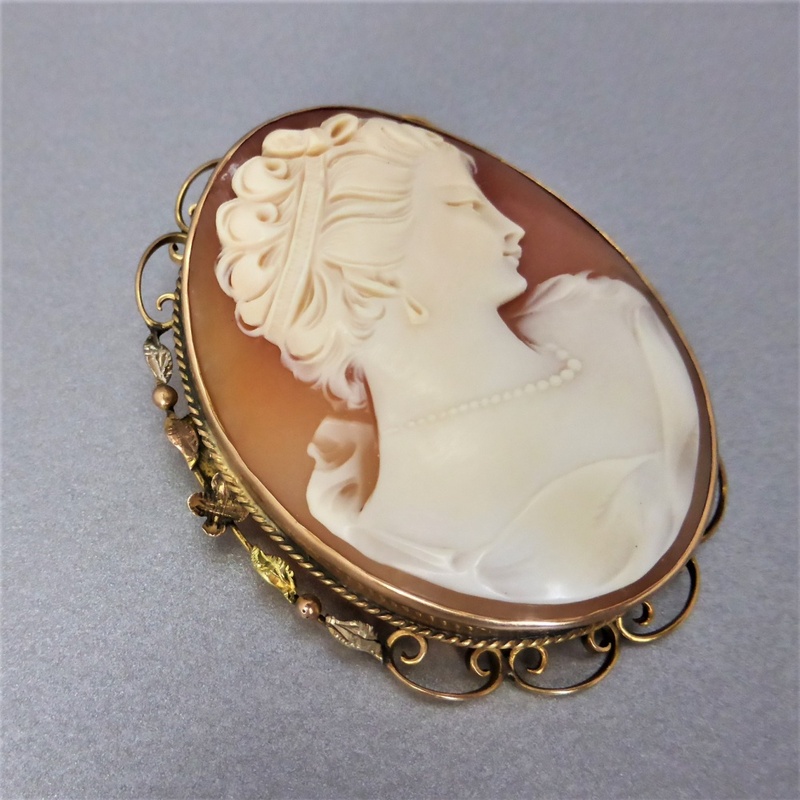 An elegant cameo piece which would make a wonderful addition on the collar! Gemstone: Cameo shell measuring 4.40cm x 3.50cm. 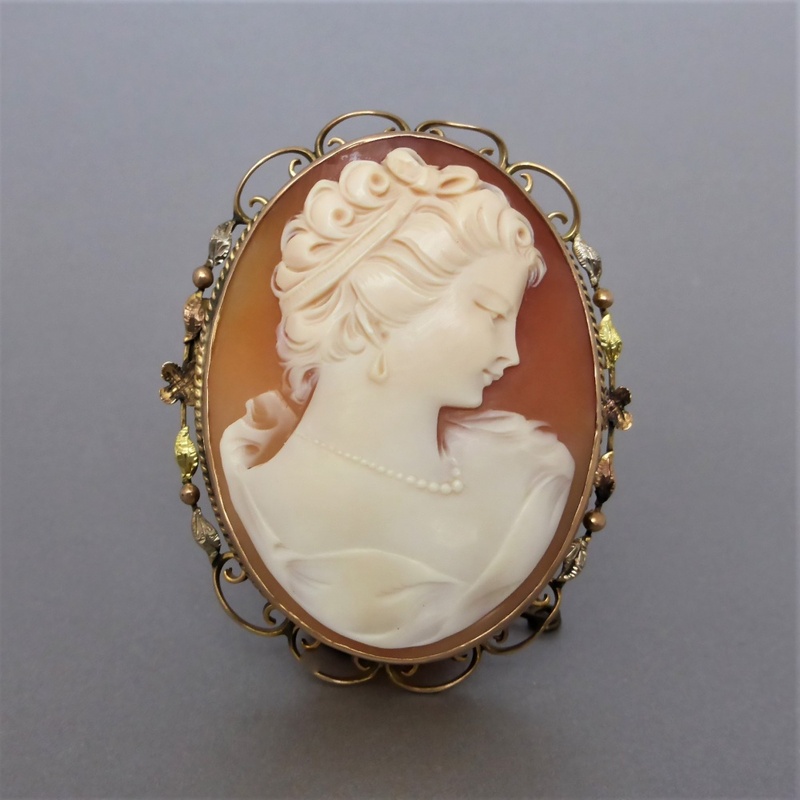 Condition: The brooch remains in good antique condition. 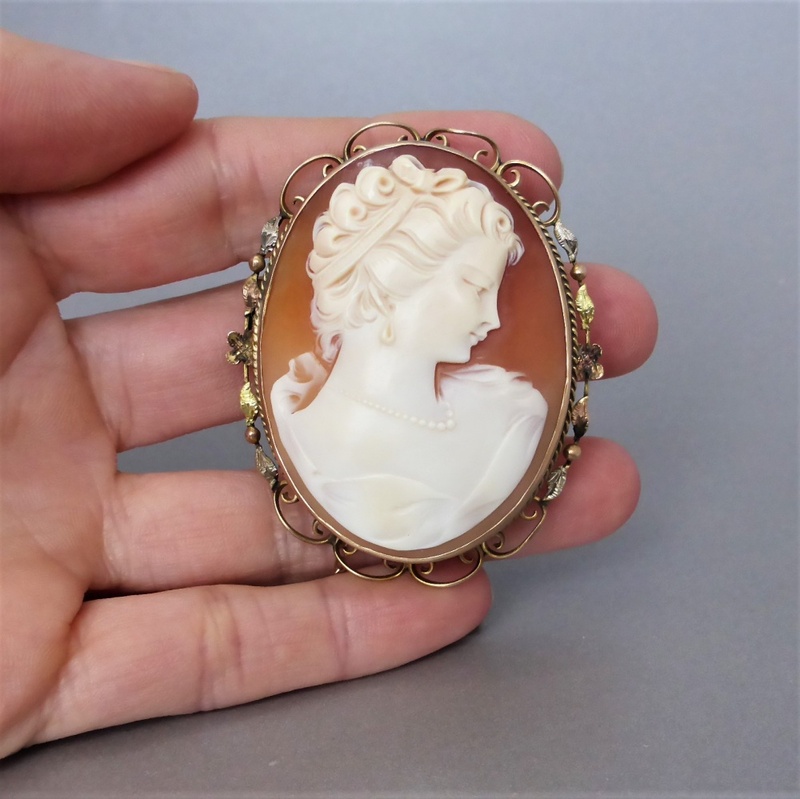 Viewed to the back of the cameo and under magnification is some internal cracking to the cameo shell, it cannot be seen from the front. Besides normal surface wear and darkening, there is no apparent damage to the gold. 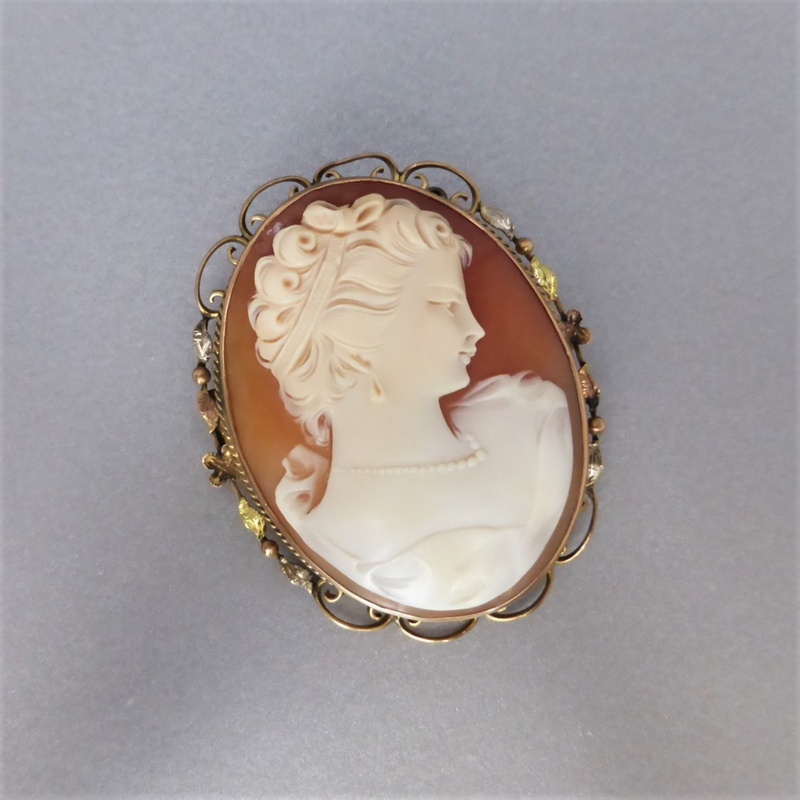 A lovely antique brooch!